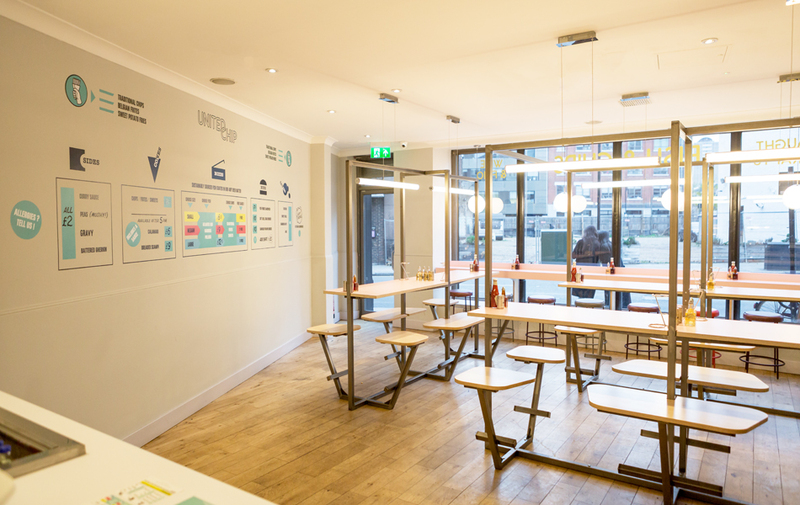 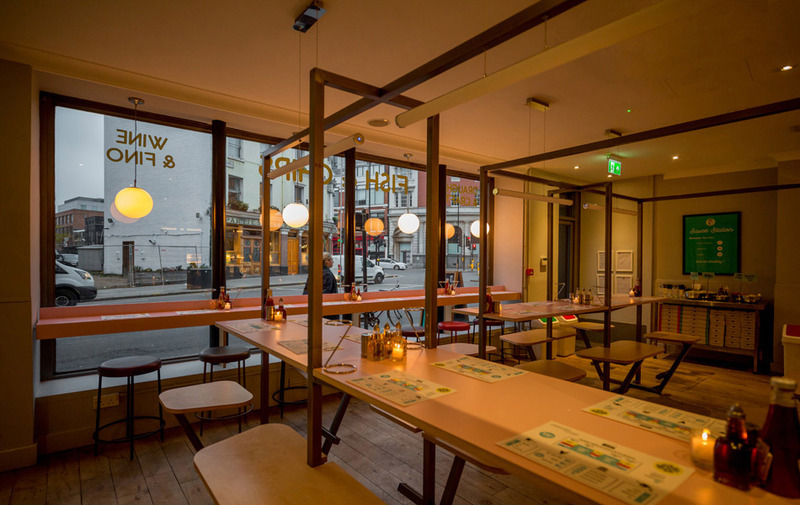 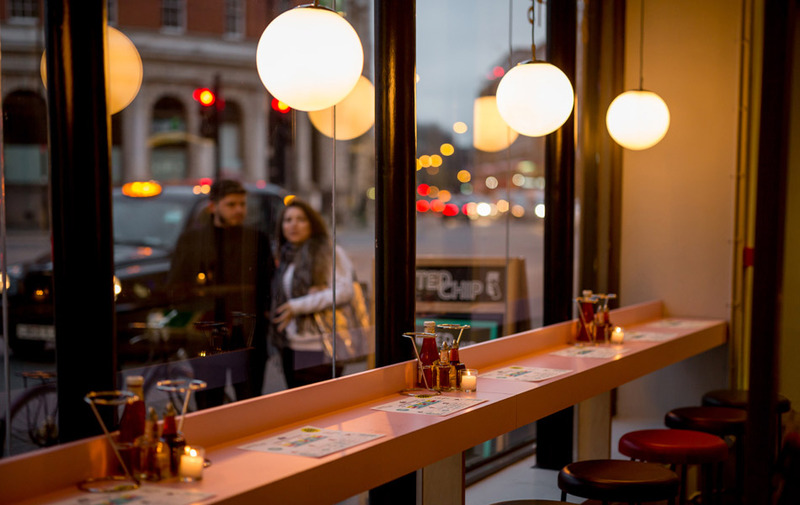 Interior Service worked alongside Sundae to design and fit out a new fish and chip shop for both eat in and take away on London’s Clerkenwell Road. 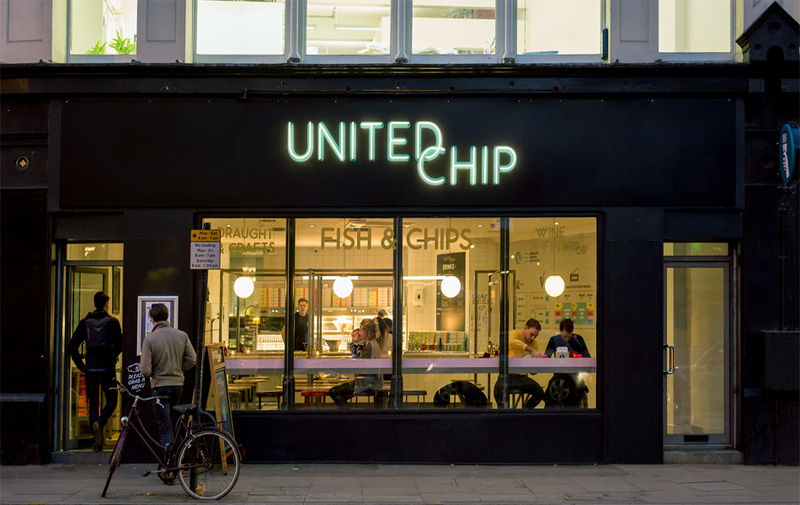 United Chip take pride in selling sustainably sourced fish, expertly fried chips and delicious craft beers. 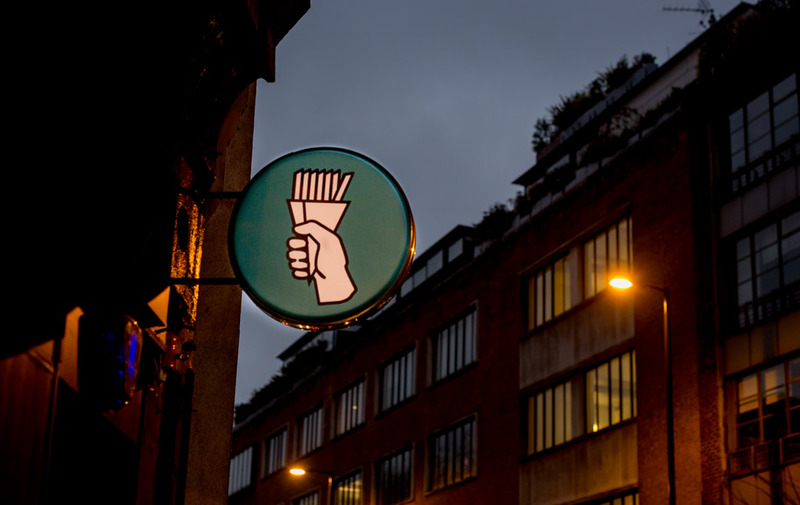 This project was a concept pop up store and as such required a fast turnaround alongside a tight budget. 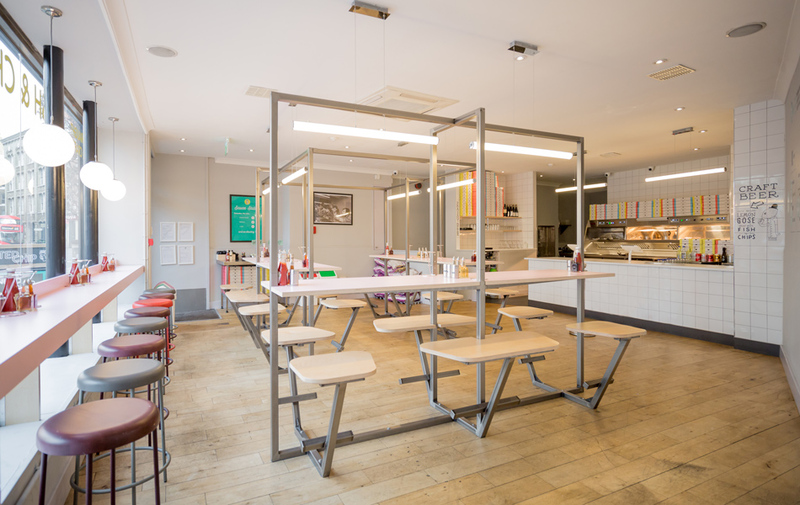 The works included the design of the shop front, interior fit out and bespoke tables and seating, creating a fun and colourful modern take on the traditional fish and chip shop.